We are committed to field research and robust monitoring and evaluation of our own programmes to support our learning and innovation, to identify best practices, and to demonstrate impact and sustainability. 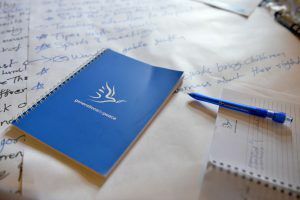 We are committed to examining and learning from peacebuilding interventions by other organisations, making broader contributions to the fields of peace building and conflict transformation. Learn more about the Generations For Peace Institute, and view recent publications. Generations For Peace change-makers address issues of cultural and structural violence in their own communities, where contexts include inter-tribal, inter-ethnic, and inter-religious violence; gender inequality; exclusion of minorities (IDPs, refugees and people with a disability); post-conflict trauma response; and reconciliation and reintegration. Our programmes are driven by our curriculum and programming framework, which were designed specifically for peacebuilding volunteer practitioners working in conflict zones. The curriculum and programming framework integrate the knowledge Generations For Peace has accumulated since its founding in 2007. It includes conflict analysis and conflict transformation theory, theory-of-change methodology, programme design, participatory monitoring and evaluation processes, volunteer mobilisation, and more. Conflict sensitivity and full participation and empowerment of girls and women are also integrated in our curriculum and programming (in implementation of UN SCR 1325). All of these are distilled down to the essentials, making them practical for our volunteers and their community. 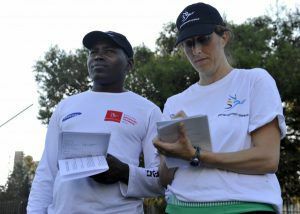 Generations For Peace is deeply committed to field research and programme monitoring and evaluation, driving our own learning and greater innovation, quality, impact, and sustainability. To facilitate, advance, and promote collaboration and exchanges between the practitioners and academics engaged in conflict transformation, Generations For Peace established its research arm, Generations For Peace Institute, in 2010. The Institute conducts, invests in, and disseminates applied interdisciplinary research and best practices in partnership with leading universities, research centres, and individual academics and researchers. • Greater volunteerism, youth engagement, and responsible citizenship. In addition to conducting research on Generations For Peace’s own programmes, the Institute’s research projects examine peacebuilding interventions by other organisations, alloweing GFP to make broader contributions to the fields of peacebuilding and conflict transformation. 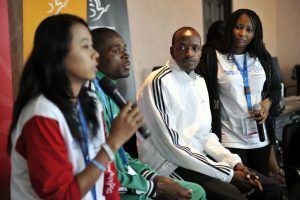 The overall objectives of the Institute reflect the aspirations of Generations For Peace to make a practical difference in programme work on the ground, supporting a growing community of practice by demonstrating the impact of and advocating for increased use of sport, art, advocacy, dialogue, and empowerment activities for sustainable peacebuilding. The Generations For Peace Institute has established partnerships with the Georgetown University, the University of Oxford, the University of Western Cape, as well as other institutes, research centres, and individual academics and researchers. Through the collaborative research projects with academic institutions and particularly young researchers that are directly supported by Generations For Peace Institute, we aim to make a practical difference to programmes in the field. By identifying and sharing knowledge and best practices, we demonstrate the impact and support a growing community of practice. This in turn allows us to advocate for increased use of vehicles for peacebuilding, such as sport, art, advocacy, dialogue, and empowerment, promoting greater innovation, quality, impact, and sustainability. In addition to serving the purposes of strengthening programming, and providing evidence reports to donors and partners Minor grammatical and stylistic adjustments In addition to serving the purposes of strengthening programming and providing evidence-based reports to donors and partners, the research we carry out serves as a knowledge-base to inform our curriculum and training materials. We want our Delegates and Pioneers to have the high-quality materials upon which to build and inform their programmes. Remaining up to date on trends within the fields of peacebuilding and conflict transformation ensures that our curriculum materials are relevant to our volunteers and applicable in a variety of conflict situations. Being able to share and disseminate learning and evidence-based results is paramount for the work not only of Generations For Peace and its Institute, but for all other individuals and organisations engaged in peacebuilding. The research produced by the Institute staff and academic partners is ultimately disseminated in a variety of formats with tailored information for different audiences, through publications, events, and online platforms. This dissemination of knowledge to practitioners, academics, and possible donors and funders serves to both contribute to and encourage further research in the field of peacebuilding.